ME EVERY MORNING: THIS IS CRAZY, I HAVE TO START PACKING LU - ProudMummy.com the Web's Community for Mums. 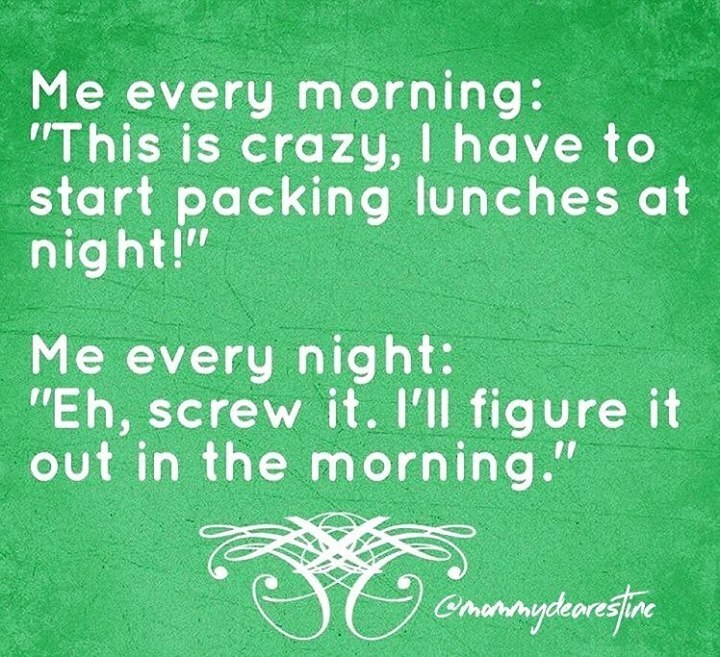 ME EVERY MORNING: "THIS IS CRAZY, I HAVE TO START PACKING LUNCHES AT NIGHT!" ME EVERY NIGHT: "EH, SCREW IT. I'LL FIGURE IT OUT IN THE MORNING."